Considering it’s been decades since we last saw him (at length), it’s fair to assume Luke Skywalker has undergone some changes ahead of The Last Jedi. He’s now light-years away from the farm boy we first met—this world-weary guy hangs out with porgs, not Ewoks. And while we still don’t know much about his role in Episode VIII, we have gotten a preview of the grizzled warrior’s battle wardrobe, courtesy of Mark Hamill. As you can see, Luke’s ditched the neutrals for a darker look, one that’s all heavy knits and layers. 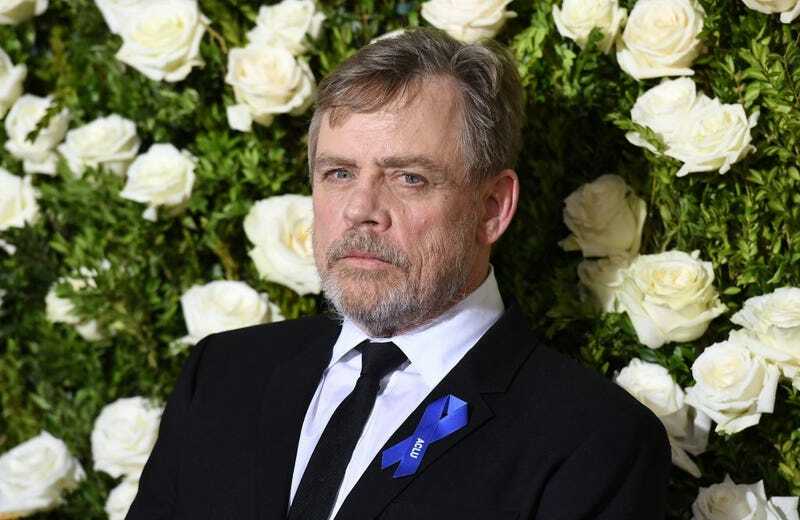 Hamill’s serving up an equally grim expression here, a potent reminder that the Resistance will rise again (as if we needed one). We’ll see how well that cape moves in a lightsaber duel when Star Wars: Episode VIII—The Last Jedi hits theaters on December 15.